Betty Nakintu is a woman with endless energy. Ask her about her nursery and primary school in Kampala, Uganda, and she beams with pride, happily showing the many buildings and facilities for her school of 750 kids. But less than ten years ago in 2008, Betty’s longing to run her own school seemed like a distant dream. A teacher by profession, she saw a need for a school in her own community. Her job as a teacher brought in a low salary and Betty struggled to earn enough money as a single mother for her children. “I used to make chapatis to sell at the school canteen,” she says of her efforts to earn extra money. Eventually, Betty saved little by little and was able to secure a small plot of land to build her school. “I began with two pupils in 2008. By the end of the year, I had 28 students,” Betty said. As more families enrolled their children in her school, Betty knew she needed a bigger piece of property and more classrooms. She tried to get loans from banks but was either turned away or treated poorly. Then, she heard about FINCA from a loan officer. She received a 3 million shillings ($820) loan to add to her savings and was able to purchase a larger plot of land. Today, her school – Saviour Junior School – consists of several buildings, a canteen, kitchen and playground. The school houses 100 boarders as well, as children from other cities stay on the premises. And Betty is still building. She is using her current loan of 20 million shillings ($5,500) to construct more buildings on the school property. Since I received loans from FINCA, my school has changed so much! 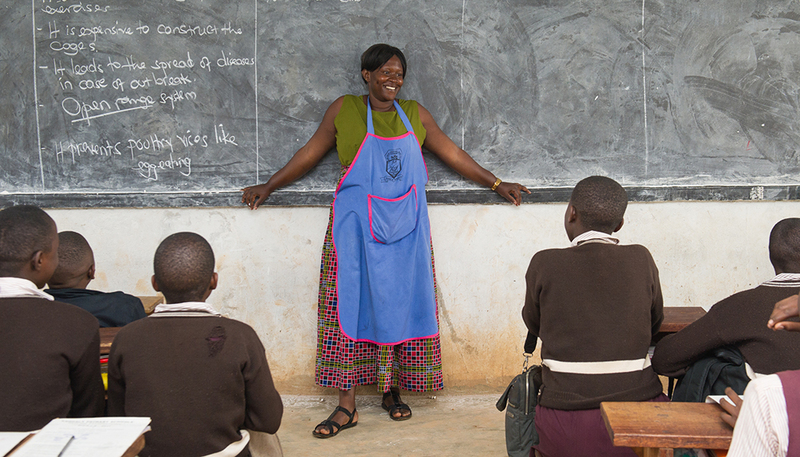 Working from 6 am to 5 pm, Betty occasionally teaches classes but spends most of her day managing her 46 staff members and teachers. She trains her teachers as well and takes pride in being in their supervisor. Sunny, who has been teaching at the school for two years, appreciates Betty’s management of the school. 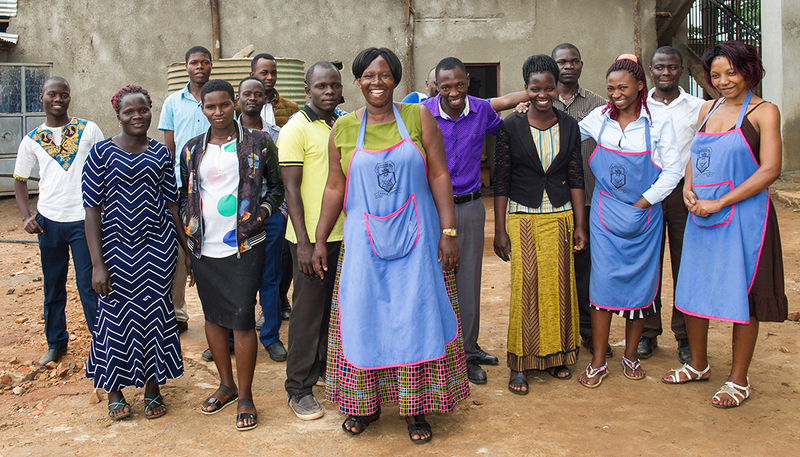 Betty’s six children are also reaping the rewards of their mother’s hard work. Betty’s dreams know no bounds. Now, she is planning on opening a second primary school in another community about 10 miles away. And she isn’t worried about having enough money to pursue her dreams.